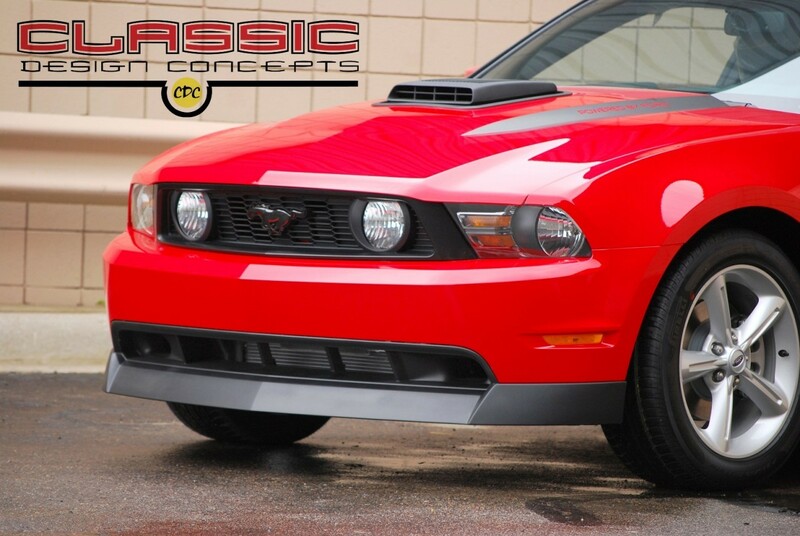 Compliment your 2010-2012 Mustang's front end with the Mustang Chin Spoiler offered by Classic Design Concepts. This piece will help add some aggressiveness to your Mustang GT, while still retaining the natural lines. The CDC Mustang Chin Spoiler will also help lower the profile of your Mustang, improving the overall stance. - Help keep your brakes cool with this add-on! - If you want to add a secondary set of fog lights, this is for you!